The Adventure Starts Here: Rainy Weekend Vibes | A Halloween PJ & Costume Party Announcement!!! Rainy Weekend Vibes | A Halloween PJ & Costume Party Announcement!!! We had off and on rain in the forecast all weekend. While we never saw a steady rain fall, we did experience an ever constant mist when out on Saturday. And with the rain, came a chill in the air. Not only did we stay in our pajamas as long as we could, but we were constantly going back and forth with turning the heat on and off. I figured this weather was the perfect excuse to make some chili and corn muffins! I found the chili recipe on Pinterest and was happy that it seemed pretty easy. While the recipe suggests using the slow cooker, it also had directions for stove top cooking. 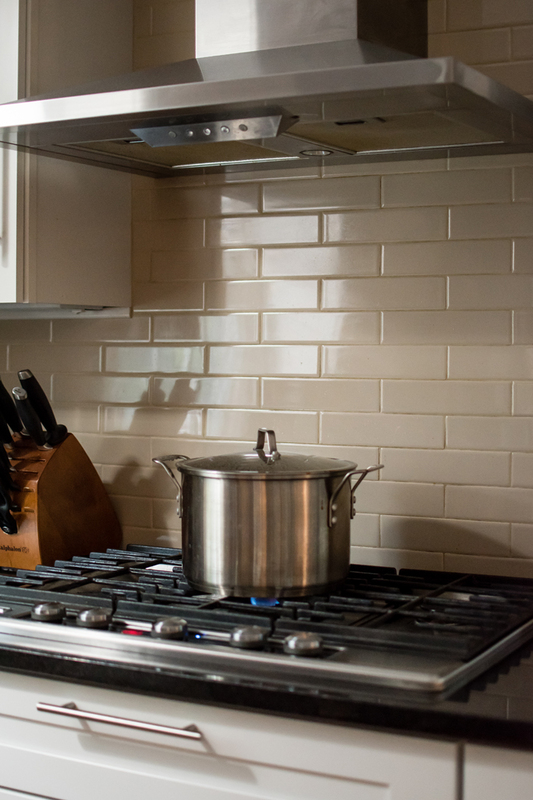 While I love my slow cooker, I opted to simmer it on my stove this time so we could enjoy it even sooner. 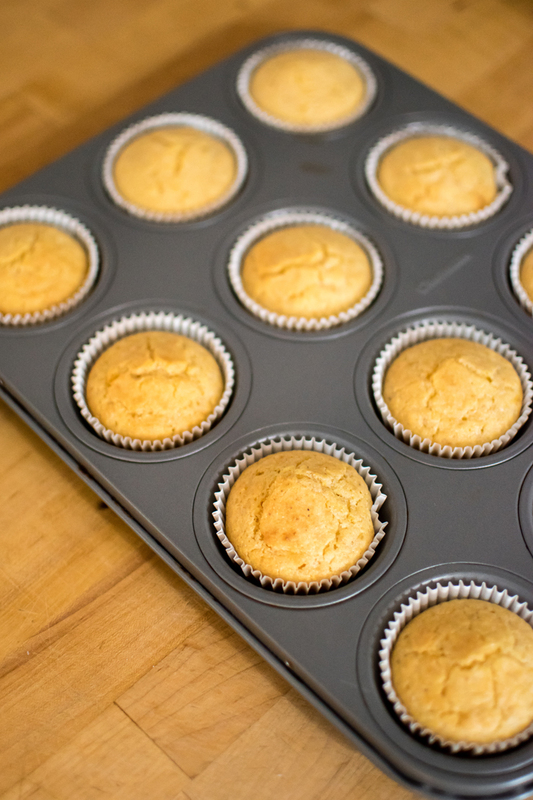 While the chili was simmering, I quickly made some corn muffins. I think my love of corn muffins comes from Boston Market. I will literally never turn one down and if someone doesn't want it, I will happily eat as many as I can! I picked up this Krusteaz mix at the grocery store after loving their pancake mix. Unfortunately, they did not live up to my expectations. The good thing is, my mother in law makes some really good corn muffins (also from a mix), so I plan to find out more details from her ASAP! Noah was very curious to see what chili was, despite having no interest in actually trying it. 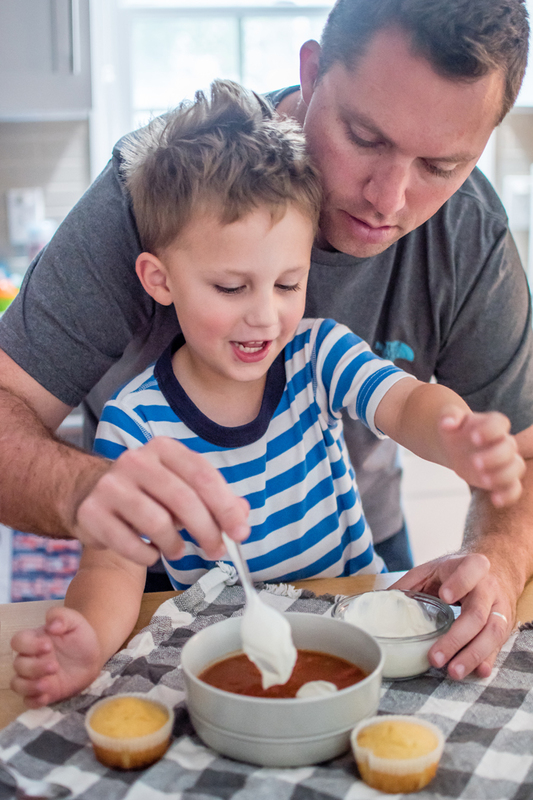 When I showed him how to put sour cream and shredded cheese on top, he and daddy immediately wanted to make a smiley face on top of the chili. And to make it even more fun, two corn muffins were used to make it "look like Mickey". As for the chili... it was good, though Chris did say it was a little more liquidy (is that even a real word) than he prefers. So while it fit the bill for our chilly Saturday, we definitely didn't find the holy grail of chili recipes. 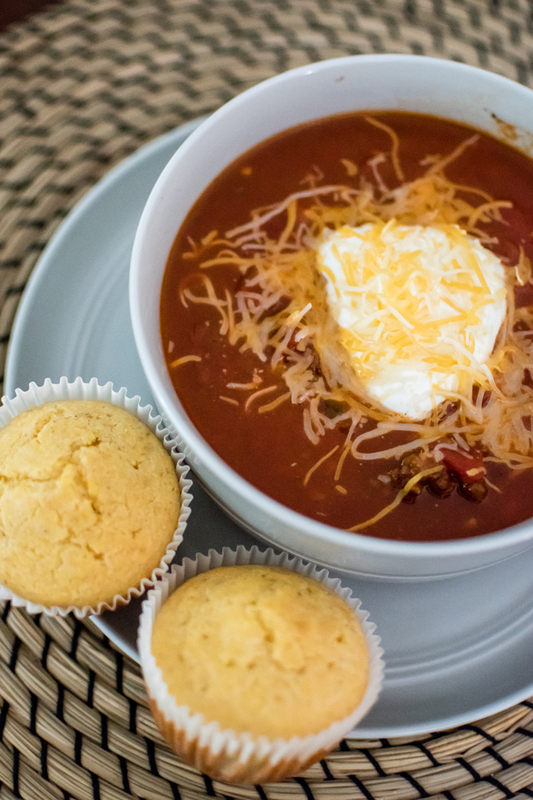 So if you have an amazing chili or corn bread recipe that you swear by, I'd love to hear it! How do you like to spend a rainy and chilly day? 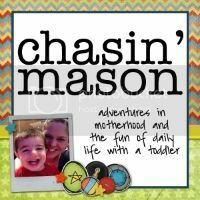 I am really excited to announce a Halloween themed linkup! 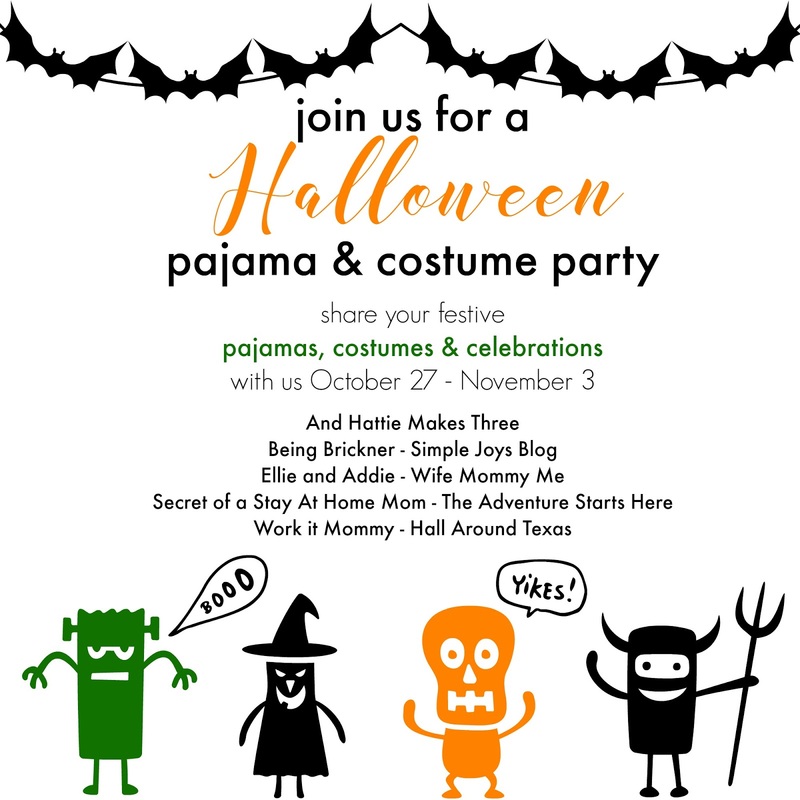 Some blogging friends and I are hosting a Halloween pajama & costume party!!! While Halloween has never been my personal favorite, I have grown to really love it because of Noah. 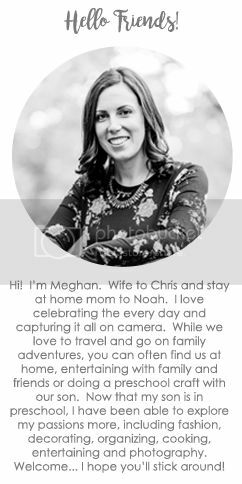 And while I don't want to ruin the surprise, I will let you know that Noah has picked out three (yes three) costumes, and all of the are "super"! 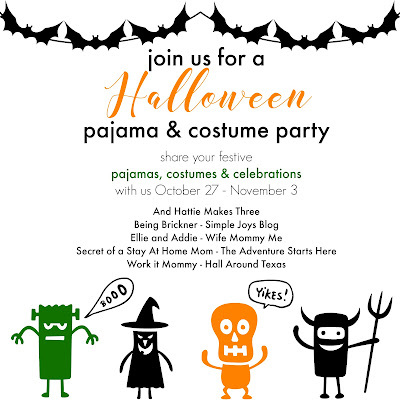 Starting on Thursday, October 27th, we would love for you to join us in sharing all of your Halloween themed pajamas and costumes! The link up will be open for an entire week, giving you the opportunity to link up your Halloween recaps as well :) So grab our button and join us for our festive party! I love rainy weekends! And that picture of Noah & Chris!!! So swoon worthy! The best cornbread is a box of jiffy. Hands down my favorite! Excited for all the ghouls and goblins!! I use the jiffy mix for my cornbread. I add a smidgen of sugar because we like it a little sweeter. Bake and too with butter straight from the oven. We really love it around here. We had chili and cornbread this weekend too. No other meal feels more like fall to me. Happy Monday! 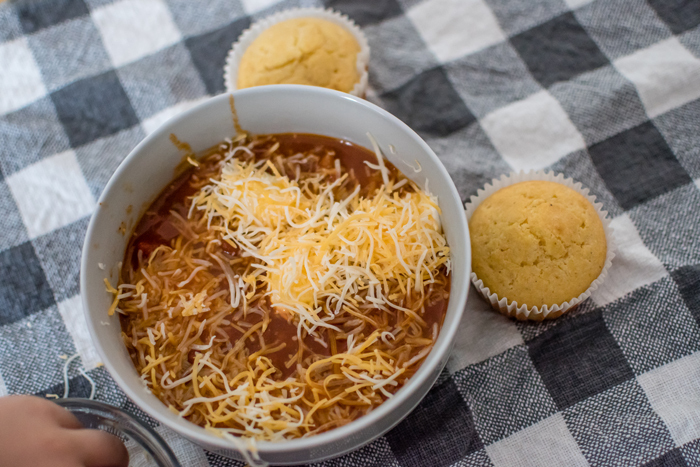 Chili + cornbread is one of my fall favorites! I've never had cornbread with chili but you've given me a new dinner combo. Whitney shared her chili today and I'm going to try her recipe. I'd love a good chili staple. I've yet to find one that pleases James. I can't wait until it's cool enough here for chili! 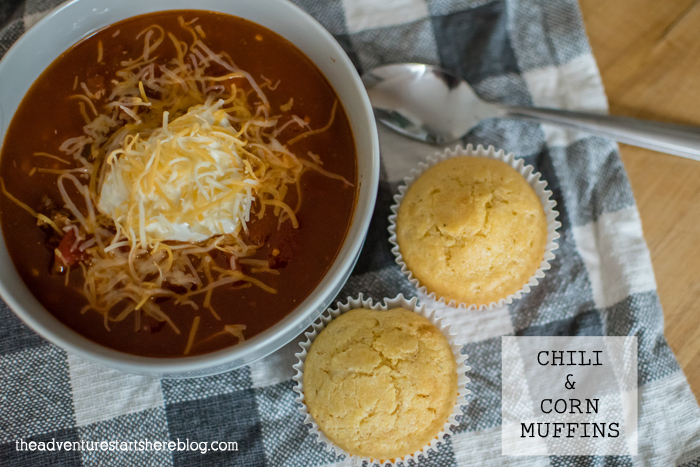 Cornbread & chili are one of my favorite meals! I LOVE LOVE LOVE corn bread!!! I really want to make some chili and corn bread now. 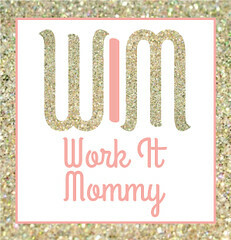 The one I make is just from the Jiffy box and is SO easy. I add a can of corn kernels as well and then top with honey when eating and it's so delicious!